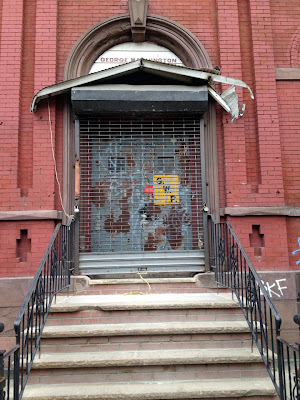 The adaptive reuse of historic buildings is often necessary for the buildings to maintain market viability. 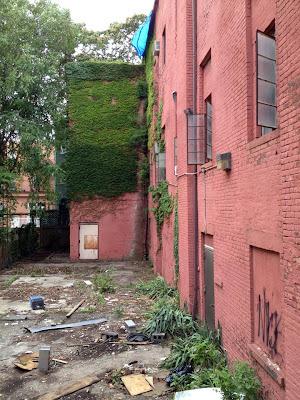 However, in the case of the PLAV building, the proposed design dominates the historic structure it traverses even though the original facade is supposed to be the intended focal point. Hopefully the finished modern portion of the structure will be muted enough that it does not compete with the original building's architecture. 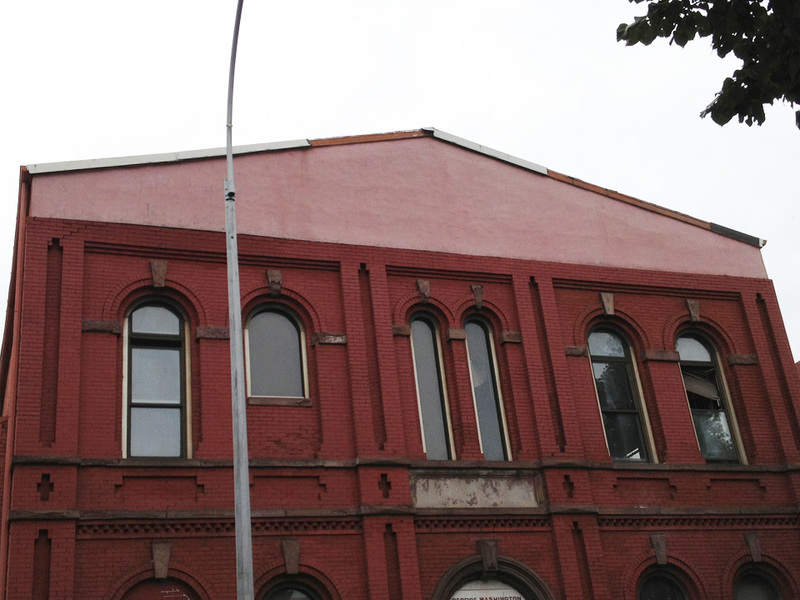 Some time during the building's history the original cornice and pediment were removed and replaced with the gutter and discolored pink stucco seen here. The theater which bears the name of one of Greenpoint's founding families who moved to the area in the mid 1600s was built on the site of Jacob Meserole's home. The single screen theater could seat 1,978 people and was a first run theater throughout its existence. 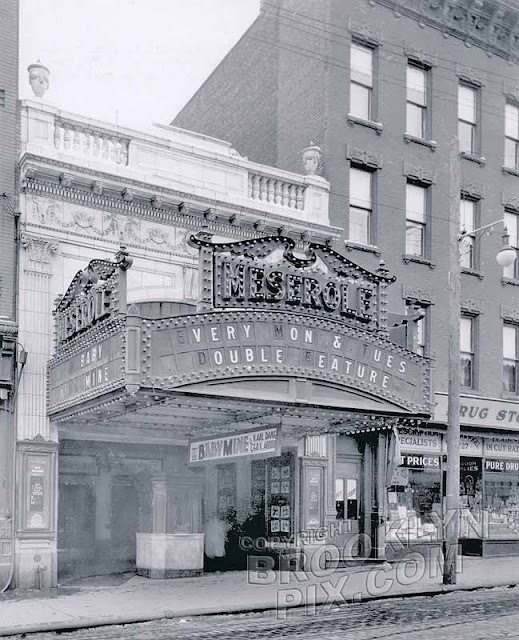 The Meserole Theater first opened in 1921 and closed in 1978. After closing in 1978 the theater was converted into a roller skating rink and later became a retail space. 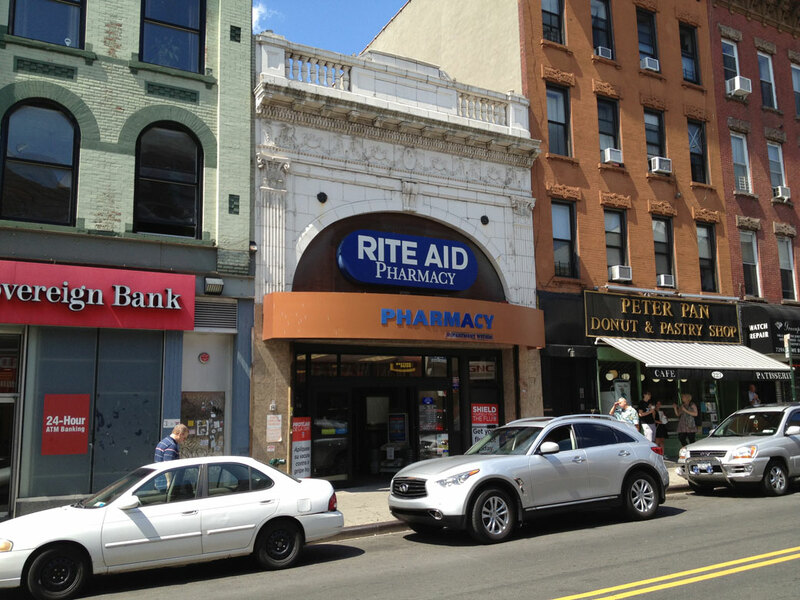 Now a Rite Aid pharmacy, the old Meserole Theater is one of my favorite buildings in the neighborhood. It is the pharmacy I use even though it's the furthest local drug store from my apartment. 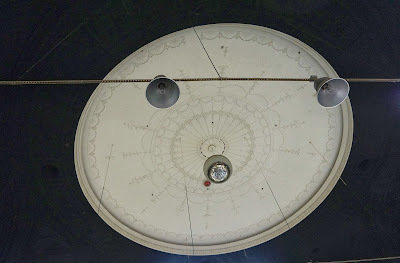 Regardless of the generic chain store that resides within, the original interior with much of its ornamental detailing, domed ceiling and disco ball have been left intact. 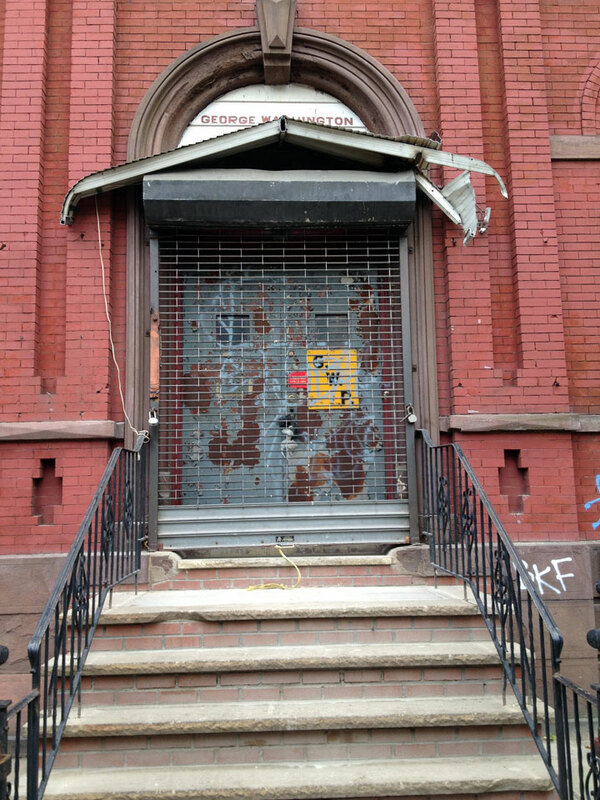 The building has retained some of its soul in spite of its revolving tenants. I first discovered the place several years ago when I was getting a prescription filled and inquired about the disco ball and cavernous domed ceiling in the main part of the building. The clerk behind the counter said that the place used to be a dance hall and prior to that a theater. 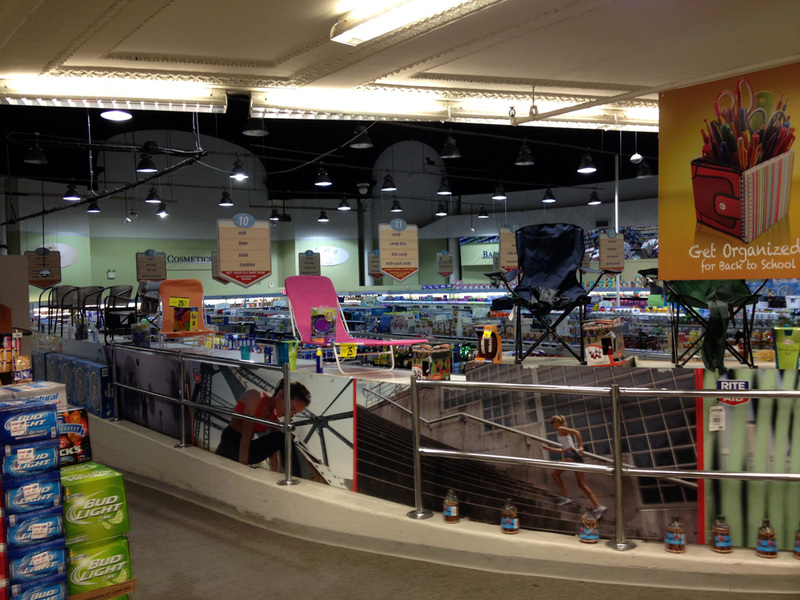 She also informed me that the projector could still be seen if I looked into the balcony above the pharmacy counter. In fact, it was a roller skating rink, not a dance hall and some wood seating is all that remains in the balcony but she was right about it being a theater. 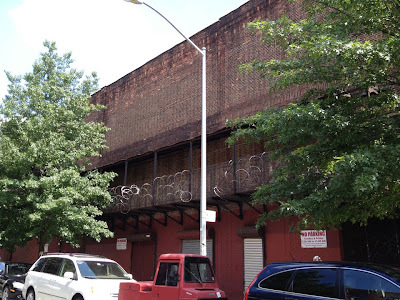 I recently read that the owner would like to see the building return to its former glory as a theater if Rite Aid decides not to renew its lease. 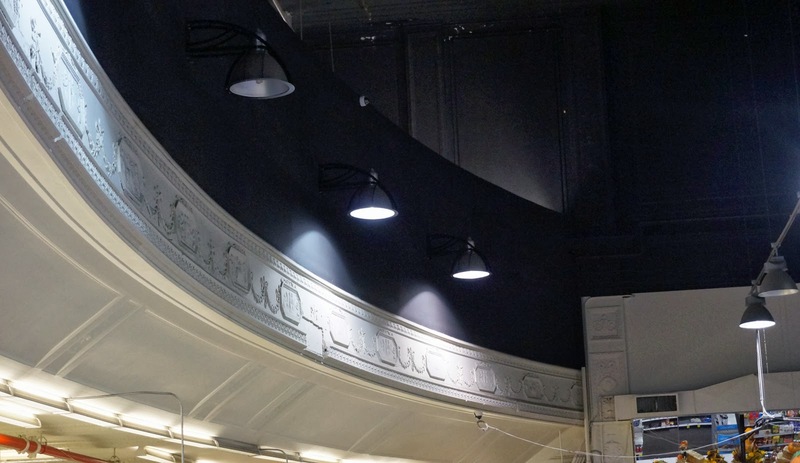 Many historic buildings are repurposed to stay relevant, so for this building to reestablish itself as what it was originally designed for almost one hundred years ago would be unique. 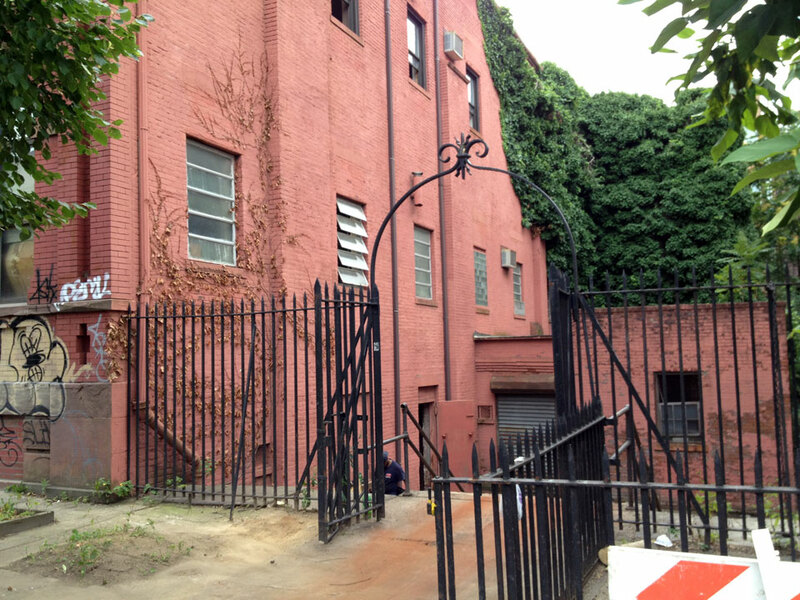 The anonymous rear of the building on Lorimer Street gives a better indication of the grand scale of the interior. The screen used to be on the back wall where the "cosmetics" sign is and the space occupied by a sea of colorful sundries is where the seating was. With black paint on the walls of the upper floor the depth of field is distorted but the balcony seating is just below the back row of light fixtures seen in this photo. 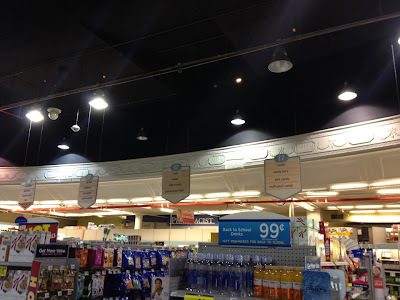 I was told that the projector was located in the center aisle. 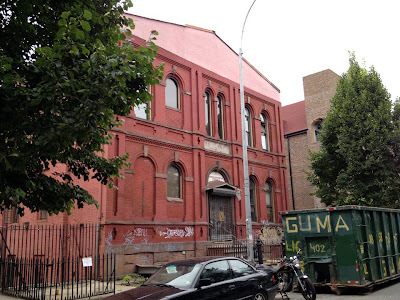 At some point I hope to finagle my way to the upper floor and balcony to confirm what I was told, as well as take some photographs of the space. 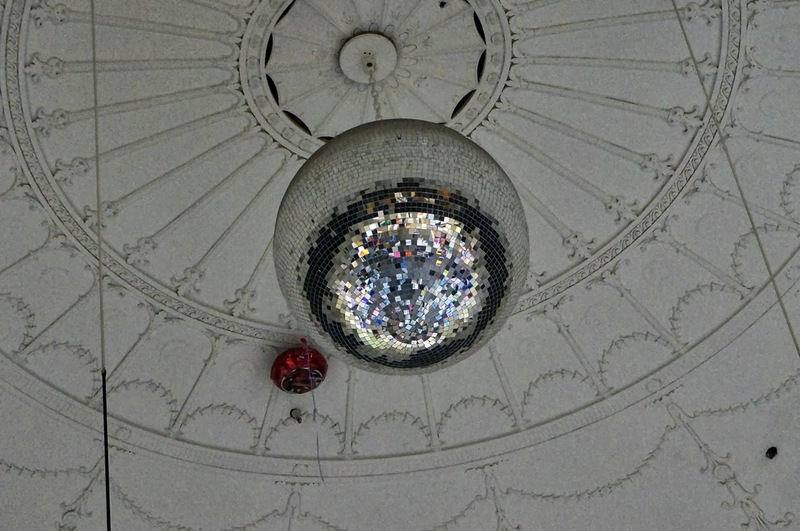 At one time a chandelier hung where the disco ball now dangles over the merchandise. 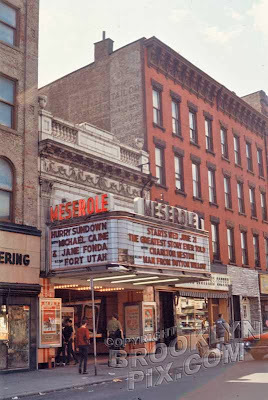 Tiebout, Cornelius "Greenpoint Yesterday and Today"
Robert R. "Meserole Theater" Cinema Treasures. 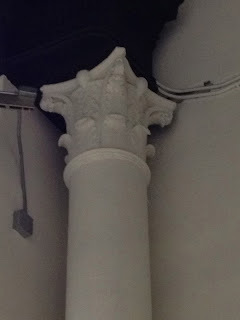 online. 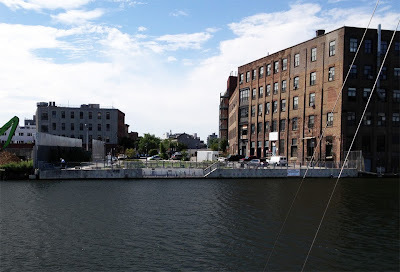 Adjacent to the bulkhead under what was once the Vernon Avenue bridge are several sail boats that utilize this location as a free mooring. 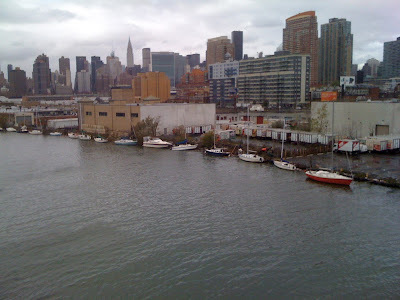 I have been told that the community of boat owners self identify as the "Hunters Point Boat Sanctuary". 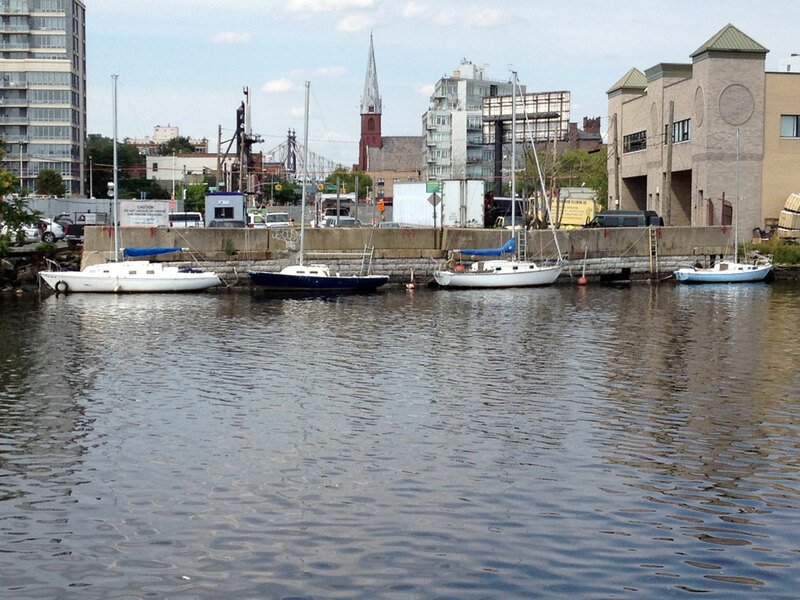 The group, which started out as maritime squatters has since evolved to include nautical tourists, as well as those looking for a cheap dock for their vessel. I like that the boats are there, it makes for an interesting story but I also hope they do not spend too much time living on the creek. It is possible that the pollution in the water is being released into the surrounding air in the form of Volatile Organic Compounds (VOCs). In addition, the bulkhead shown in the picture below is failing and the potential for damage is high if it collapses. The boats drew my attention to this spot; then I noticed the remnants of the bridge's infrastructure. 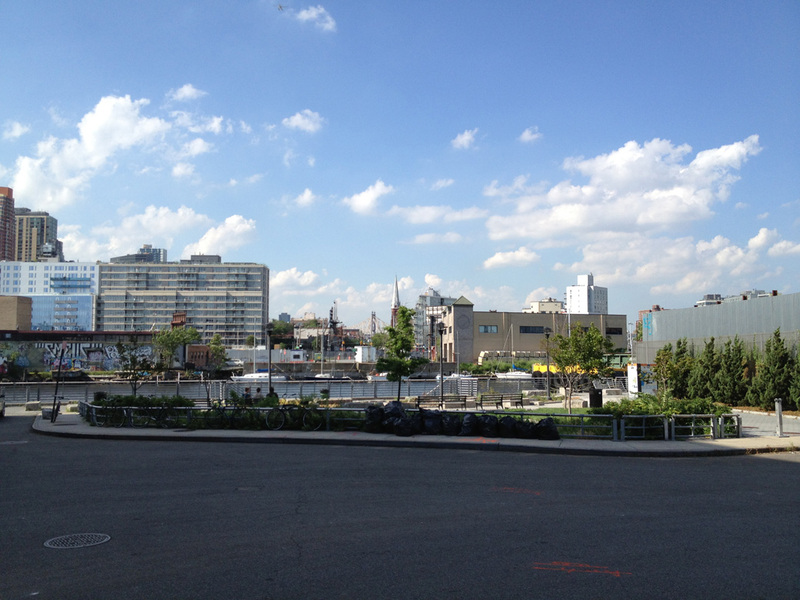 You can learn a lot about the infrastructure of yesterday by analyzing the landscape. In most places where infrastructure has been removed remnants are left behind, waiting for those who are interested to piece together the urban fabric of the past. 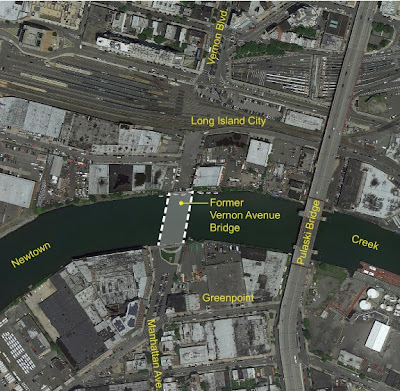 In the case of the Vernon Avenue Bridge there is the abrupt end of Manhattan Avenue at Newtown Creek and a parking lot on the other side in the dimensions required for a bridge crossing and roadway link to Vernon Boulevard. 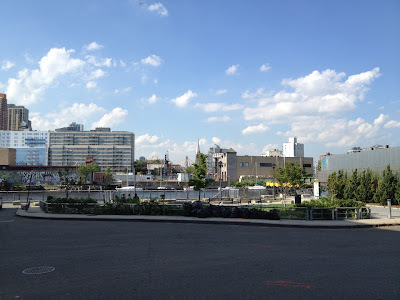 There are also the bridge foundations and if you visit the parking lot on the Long Island City side one can observe exposed trolley tracks in areas where the pavement surface has spalled away.